If you’re an e-commerce customer, you probably have products with different values. Wouldn’t you want to track your conversion data with the same value differentiation? With dynamic values, you can add in unique product values for each purchase action on your site. Adding values (such as revenue per order) and order IDs to your conversion events will help you more accurately measure your return on investment and view the true value of each conversion. Please note that tracking order values and IDs requires modification to the Event-Based conversion pixel code. Modifications made to and implementation of the Event-Based conversion pixel code cannot be troubleshooted by our Support team. We strongly recommend working with a web developer so that they can add the value dynamically at the time a purchase is made. To report your value in a currency other than US dollars, modify the ‘currency’ field. 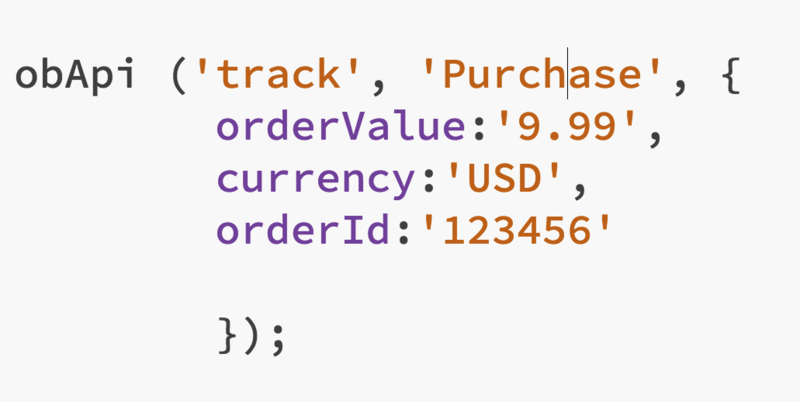 You could also combine all properties to track the Order Value, Order ID and Currency. It’s important to note that placing dynamic values on your site code will override any default value you have set in the Conversions section of your dashboard. Also, keep in mind that how you define a variable and pass it over from your website is based on how your site is structured and what information you want to receive. There are several standard options and you should consult with your web site’s development team or web developer to determine what is best for you and your campaign goals. Questions? We’ve got answers! Feel free to reach out to us and we’ll be happy to assist.